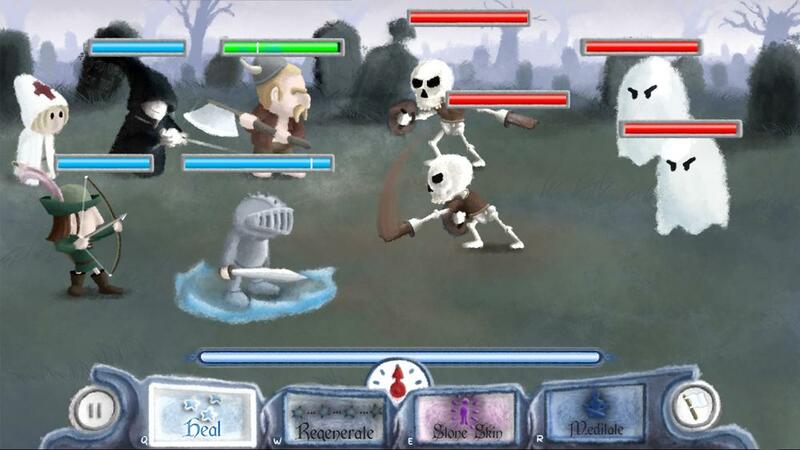 Healer's Quest is a hilarious RPG in which you solely play as the healer of a band of jackasses. As the healer, your role is to keep your teammates alive while they are fighting the enemies. To do this, you have access to a wide range of spells. Each spell has its own skill tree, and can be deeply customized according to your strategy. You'll have to explore a crazy magical world, crawl into dangerous dungeons, fight hordes of enemies and bosses, and discover a one-of-a-kind storyline. The omnipresent dialogs will change based on your choices and on your karma (Good, Evil or Victim).